As my time as general and artistic director of Chautauqua Opera draws to an end, I look back at this past summer and the last 21 seasons filled with joyful memories. I am enormously proud of our opera company and the incredibly high quality of work we have produced on such tight budgets. I am thrilled by the range of repertory that we have been able to produce for an audience that remains supportive and enthusiastic, and an Opera Guild which has given me so much personal input and affection. I thank the opera’s amazing and committed staff led by our brilliant music administrator and chorus master, Carol Rausch, and our resourceful resident lighting designer and production manager, Michael Baumgarten, who have both been with me since I started. 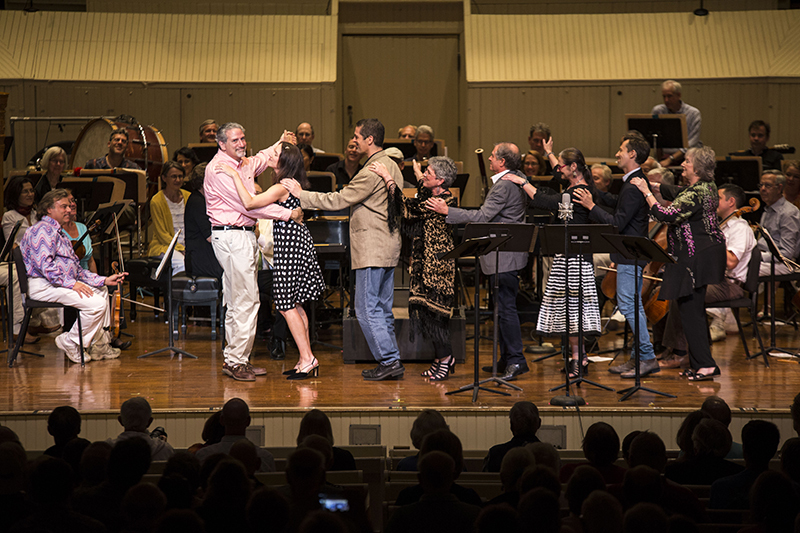 Thanks also to managing director Michael Berg, who joined us in recent years, and to a long roster of sensational guest artists who have lent their talents to our community over the past two decades. The photos in this season’s program and posters highlight the work we’ve all done together since 1995. I must also acknowledge my gratitude to the recent and current presidents of Chautauqua who have encouraged the arts here — Tom Becker, Dan Bratton and Scott McVay. And then there’s the redoubtable Marty Merkley who, for the past 25 years, seems to have made everything happen here — including the weather. The entire Opera Company wishes Marty much success as he moves on to the next phase of his long and varied career. In my years at Chautauqua, I have been continuously inspired and nurtured by the talents and artistic output of my colleagues in both symphonies, now led by Rossen Milanov and Timothy Muffitt; our superb theater company directed by Vivienne Benesch; Jean-Pierre Bonnefoux’s miraculous ballet; our adventurous art department headed by Don Kimes; and the excellent young singers of the Voice Program under Marlena Malas’ extraordinary guidance. There are so many highlights of my 21 years here: opening night of my first season in 1995 with The Tales of Hoffmann, the roar of the audience for our productions in the Amphitheater in recent years, producing such great works as Barber’s Vanessa (I’ll never forget the audience gasp as the curtain fell), Benjamin Britten’s challenging and fulfilling Peter Grimes and the vocal fireworks of Mary Stuart and Norma, just to name a few. The response to this season’s Macbeth and Eugene Onegin still rings in my ears. What memories I take with me. And then there has been the personal gratification of guiding so many developing singers in our Young Artist program. Finally, I want to thank this energizing and caring community for all you have given to the Opera and to me personally. The Chautauqua community has been my second home and the opera company has been the focus of my creative and personal life for more than half my professional career so far. I have learned and grown so much in this unique and supportive environment. Opera has been an important part of Chautauqua for 87 years. I am so happy to welcome Steven Osgood as the new general/artistic director. He is a terrific conductor, a wonderful colleague and a real “mensch.” I can’t wait to see what the next years will bring — but I know they will include more thrilling productions and the continued high level of training for young vocal talent — the two things that Chautauqua Opera does best! I look forward to many return visits. Thanks to all of you for these wonderful years.